Hey guys thanks for all the information. I was lucky enough to borrow my son’s car for a day (same model) so had an extended test drive, excellent solo but of course have not been able to try towing. Looking forward to getting mine next week. Many thanks to all who have replied, I have today collected my third in a row Outlander. This model has a much smoother ride quality due to a revamped suspension. Not keen on this “ stop and go” system which cuts the engine when you are stationary in neutral, it can be overridden but has to be done each trip, pity it could not be permanently disabled. Thanks both for your replies, it was the ride quality I was questioning, especially with 235/45x19 tyres. Although I think that although large wheels and low profile tyres will produce a harsher ride than smaller wheels with normal profile (55) tyres, this will still be a smoother experience than the Outlander which has 18 inch wheels with 55 profile tyres but hard suspension. There appears to be confusion in this thread about sites. There are three separate sites mentioned. The site at the lower end of the park near the beach is an area used for rallies by several clubs. The site inside the country park near the cafe building, and I believe the one referred to by the OP, is run by Carmarthenshire County Council. The third site which is actually just before the country park entrance is a Caravan and Motorhome Club site which shares the Pembrey name but in my opinion based on many visits over a number of years is up to the usual C&MC standards. Size of size twelve full awning. That would depend on the awning, they come in various depths eg 2 mtr, 2. 5 mtr. Even different models from one supplier would have different depths. If you know the make and model of the awning I’m sure someone will be able to help. 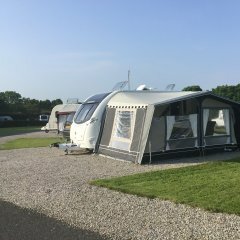 Often the footprint of an awning is available on line from adverts or the manufacturers catalogue. Hi Jeff, not actually on M50 but on A40 Monmouth services are quite good and new. One either side of dual carriageway. They areEco garages, have Greg’s, Starbucks, Spar andSubway. Caravan parking spaces are drive through ie no reversing required. Hi All, I have recently changed vans to a 2017 Conqueror. I have noticed that each time I move site, and hence disconnect EHU and subsequently reconnect the RCB has tripped. I have never experienced this on any of my previous vans. Is this normal or due to an over sensitive RCB? Hi, you are at the very start of what I’m sure will prove to be a very enjoyable experience. 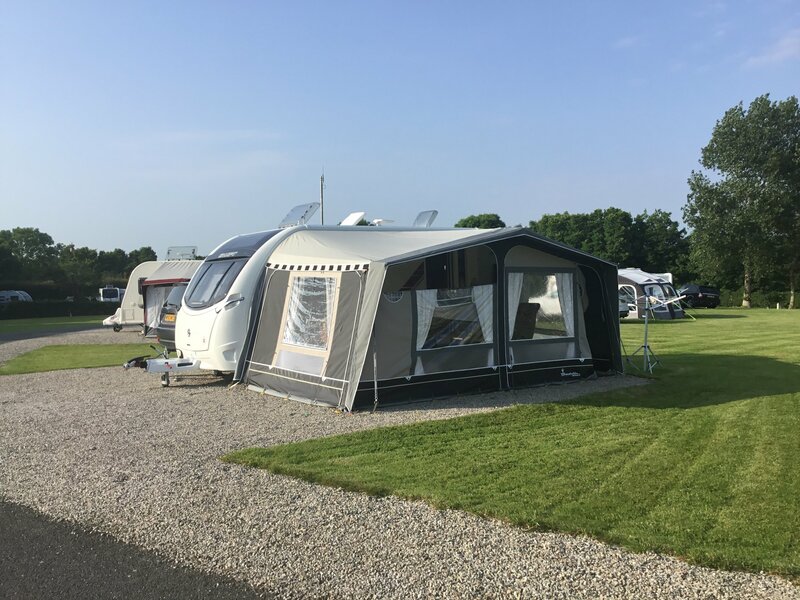 We have been caravanning for over 35 years, yes we have encountered many problems at various times but would not have any other style of holidaying. There are many on the forum who will offer help to your questions, don’t be afraid to ask. That does give me more hope, although unfortunately I am considerably heavier, perhaps I should take my GP’s advice and lose weight.😀 Yes it is only the Elegance which currently has Smart HT, however, I am buying a new 2017 model Conqueror which does have it. Good to hear you have had no problems. Madrid storage and weight distribution. Hi Gary We don’t use the shower as we tend to stay on sites with facilities, hence during the day the Duvalay toppers and our duvets live in the shower, to be replaced at night by the seat backs and ends and the scatter cushions. No, I think that will come when they have the van in the workshop. Hi John, have just visited the dealer I bought the van from. It took him a while to correctly identify the part as there are several similar items. It is a corner piece about six inches long on one arm and a little shorter on the other. He has offered to cover the part which is actually about forty something pounds retail but less trade. The situation becomes confusing as the workshop due to carry out the warranty work is not the supplying dealer, the latter not having a repair workshop. The situation now looks much more promising.